NEWINGTON - At least two dozen people celebrated the opening of Industrial Protection Products at 3310 Berlin Turnpike this week. 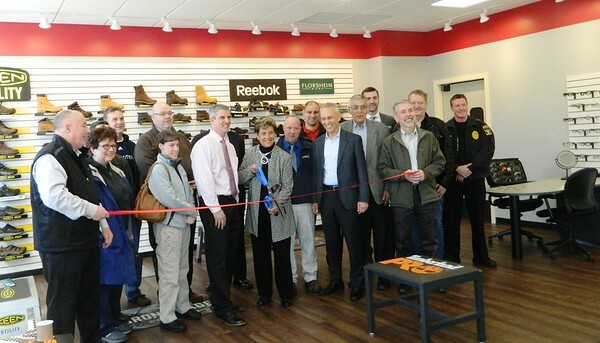 The prescription safety eyewear and safety footwear company, based in Wilmington, Mass., opened its second showroom and first Connecticut location in February. The Newington Chamber of Commerce hosted an official ribbon-cutting ceremony Tuesday morning, led by Executive Director Pete Forcellina. Attendees included Newington Police Chief Stephen Clark, Mayor Roy Zartarian, Economic Development Director Andy Brecher and many Chamber members. Founder Ellen Murphy joined her son and IPP President Rick Murphy, along with branch manager Jeff LaRosa in greeting visitors. 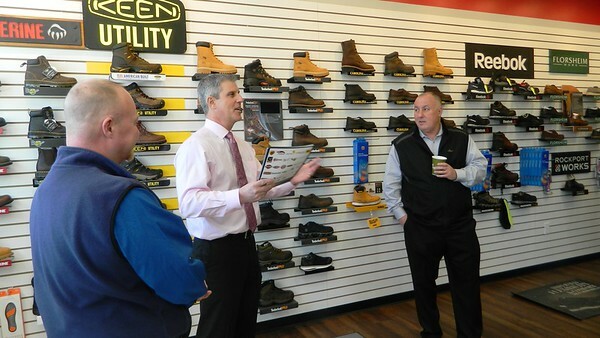 The showroom provides a retail experience, while eight “shoe-mobiles” distribute products to companies across New England. IPP is the corporate supplier of safety foot and eye wear at Pratt & Whitney and Eversource. Posted in Newington Town Crier, Newington News on Thursday, 28 March 2019 08:20. Updated: Thursday, 28 March 2019 08:22.